It was a blustery and rainy day in South Wales today (perhaps all over Britain). 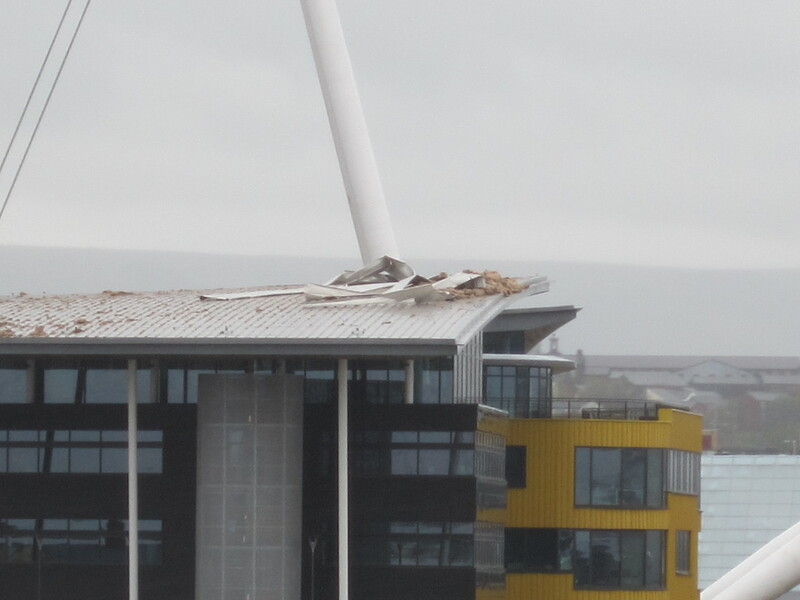 So much so, it ripped off parts of Newport University’s roof, where I attend! It was shut for the day, and we were later told it won’t be open until at least 12pm tomorrow. Took this photo on my work break where I went for lunch with my Mum. Lovely and productive day today, got all the first draft of my iPad app complete!